At about 10:53am on August 6, 2009, a landslide damaged a railroad track, causing two Kettle Falls International Railway Companies engines and a box car to fall about 50 feet down a hillside. Two railroad employees suffered minor injuries. 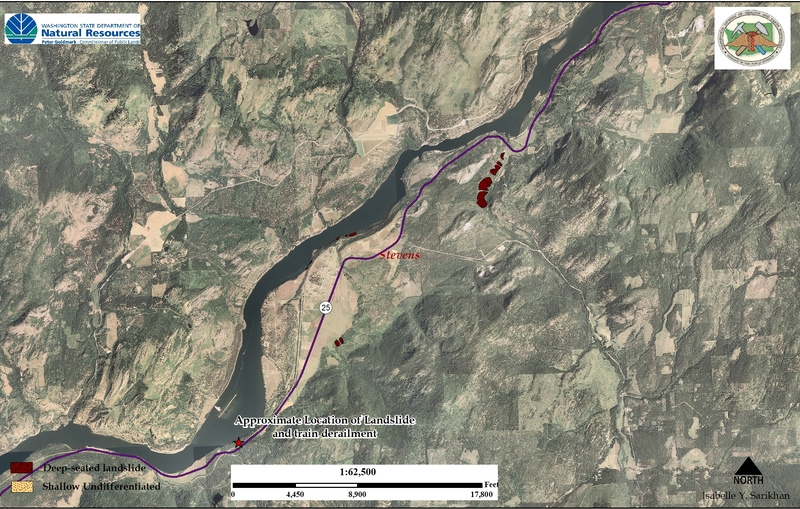 The area where the landslide occurred had landslides previously mapped in the area. The Roosevelt Lake has a lot of unstable areas along the bluffs and surrounding areas. See map below. I am currently trying to get in contact with Stevens County for more information, stay tuned.